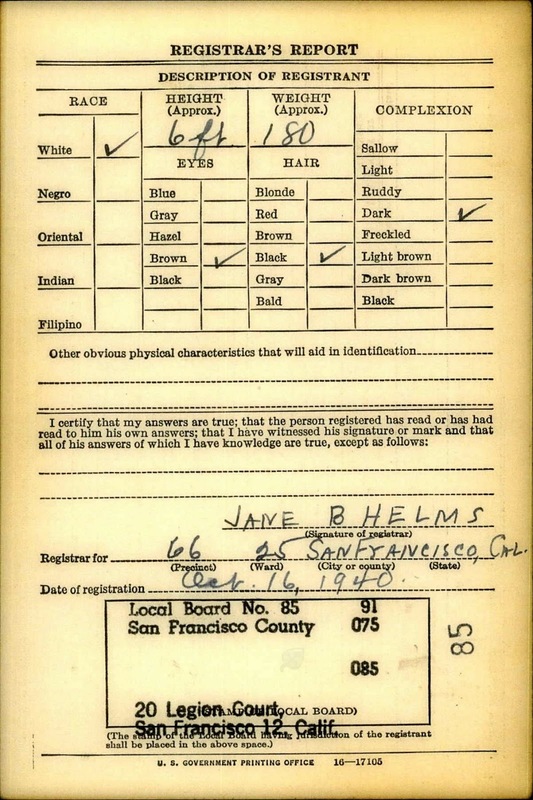 * Country of Citizenship: U.S.A.
* Address of that Person: 1295 15th Ave., San Francisco, Calif.
* Employer's Name: Standard Stations, Inc.
* Place of Employment or Business: 265 Bush St., San Francisco, Calif.
"WWII Draft Registration Cards for California, 10/16/1940 - 03/31/1947," indexed database with digital image, Fold3 (http://www.fold3.com : accessed 19 March 2018), San Francisco County, Draft Board 95, Serial No. 1814, Lee Severt Leland registration, 16 October 1940; citing Records of the Selective Service System, 1926–1975, Record Group 147. National Archives and Records Administration, St Louis, Missouri. 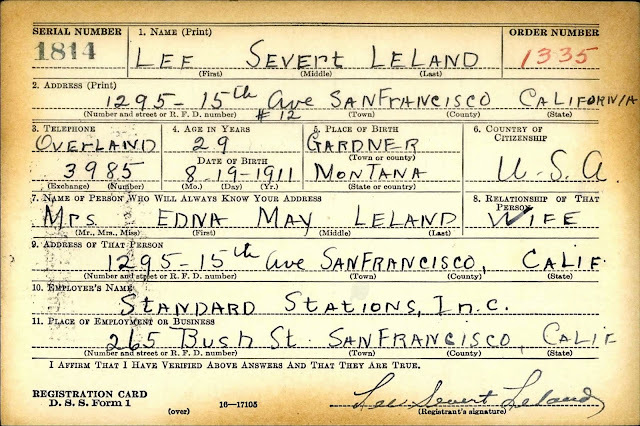 Lee Severt Leland (1911-2002) is my wife's father, who was born in Gardiner, Montana to Severt Oliver and Amelia Anna (Brocke) Leland. 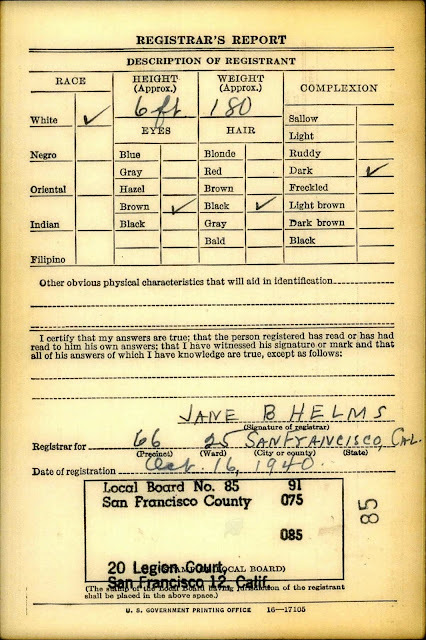 He married Edna May Schaffner (1913-1979) in 1937 in San Francisco.